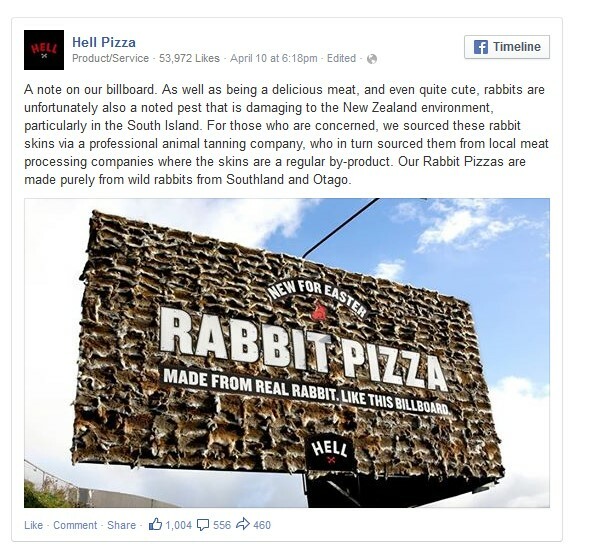 As we approach the Easter holiday, New Zealand pizza chain Hell Pizza, popular for their attention-grabbing marketing campaigns, has revealed their newest billboard advertisement that has stirred controversy among animal rights activists because it is covered in rabbit skin. 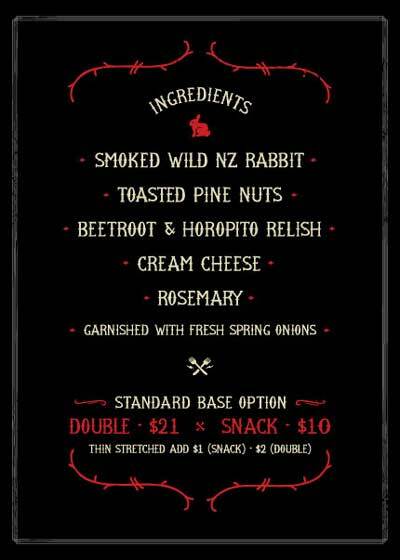 The rabbit ad is Hell Pizza’s latest provocative marketing stunt. In the past, the restaurant has mailed out condoms as part of a promotion for its “Lust” pizza. This ad campaign has sparked outrage to to all animal lovers. Do you think this is a tasteless effort in advertising or a unique attempt? We at Collideascopes think Hell Pizza needs to look for a better Public Relations representative.